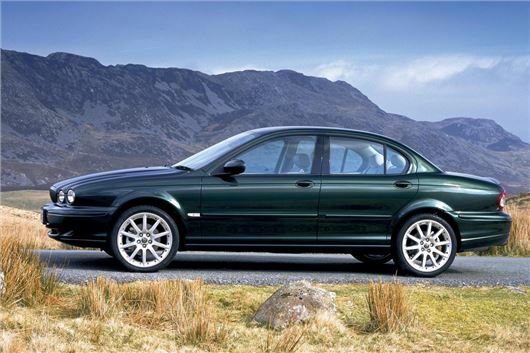 The Jaguar X-type is not regarded as the company’s finest hour. It may have been quite pretty, and also fairly decent to drive, but the combination of a stigma around it being (loosely) based on the Ford Mondeo, allied to some fairly shocking rustproofing, or lack thereof, has left it as a poor relation. Yet in the right flavour, the X-type is a fine car. So let’s start with the models you don’t want. First up, the diesels. Introduced as obvious rivals to the German big three, the X-type 2.0 and 2.2d were perfectly acceptable ‘of their time’, but as classic cars they don’t cut it. The DERV powertrain, fragile dual mass flywheels and lack of urgency do not a performance car make, and while a diesel X-type may be a classy enough used car (caveat emptor), it’s the petrol models that will be first to garner a true classic following. And of those, there’s one true standout. The 3.0 Sport. The model’s most talked about feature was its chassis - to try and overcome any concerns about the X-type’s partly Ford Mondeo-derived underpinnings, the chassis was developed with four-wheel-drive, named Jaguar Traction4, which used a viscous coupling to power the rear axle. The AWD element featured heavily in the car’s launch advertising, much of which was filmed in snow. It had a 60% bias to the rear wheels and surprisingly proficient grip. There were two engines available. The punchy 2.5 and the incredible 3.0, with 231bhp and 0-60mph in just 6.6 seconds - the same as a Porsche Boxster. Not only that, but Jaguar benchmarked the Subaru Impreza WRX when developing the X-type’s chassis, and much was made of its balance at launch, with chief engineer Mike Cross comparing it to a fine wine. Cross said, 'The X-type’s nimble driving dynamics reward the enthusiast, as well as reassuring the everyday driver. Its outstanding combination of agility and refinement stems from a blend of advanced engineering and intuitive know-how, with each individual component having an influence on the ride and handling. To mark it out from the plain Jane SE, the Sport’s grille was body-coloured with a black insert, the infill panels on the front and rear bumpers were also painted rather than chrome, as was the Jaguar plinth on the boot lid, and where the SE and V6 had chrome brightwork around the window frames, the Sport had satin black. Inside, thickly bolstered sports seats, a leather gear knob and perforated leather steering wheel trim, along with grey-stained veneer (unless otherwise specified) added to the more youthful ambience. Twin exhaust pipes, a slightly lower ride height, and a black cooling grille below the numberplate mount were further Sport features and a discreet lip spoiler on the boot lid was standard. But the real appeal was behind the wheel, as the Sport was an altogether different car to drive than the more luxury-oriented X-type derivatives. It was sharper, more agile and generally felt smaller than the comfort models, yet it still retained decent ride comfort. It’s a lot more supple than anything offered by BMW or Audi at the time, yet still feels just as composed through the corners. Indeed, it’s on twisty roads where the X-type Sport really comes into its own. The 3.0-litre is a true weapon, turn into a corner hard and you can feel the all-wheel-drive chassis hunkering down, as the back end gently pushes the front end round, while the speed-sensitive steering is brilliantly weighted and quick to respond. Whatever Jaguar’s engineers were doing at the time of the X-type’s development, they did it very well. But the best bit is this - the X-type 3.0 Sport is still an X-type, and to the uninitiated, that means it’s a cheap banger and an expensive one to run. Providing you find one that doesn’t have rotten sills or, better still, has had them replaced, then you’ll get an amazing car for not much coin - less than a grand if you shop around. And for that, the X-type 3.0 Sport is an amazing classic bargain.